Store closures are up as online shopping grows—but other measures suggest brick-and-mortar retail is still doing OK.
One of the big trends of 2017 was the ongoing “retail apocalypse,” the apparent disaster of declining sales and store closures facing brick-and-mortar retailers. Well, 2018 was more of the same. One year after rounds of store closures by J.C. Penney and Macy’s, 2018 brought shutdowns by Sears and Toys “R” Us—not to mention Mattress Firm, Bon-Ton, Abercrombie & Fitch and more. But just how apocalyptic is this retail apocalypse? CityLab took a closer look at the data and found a much more ambiguous picture than the headlines might suggest. It’s absolutely true that we’re seeing a heightened level of retail closures. 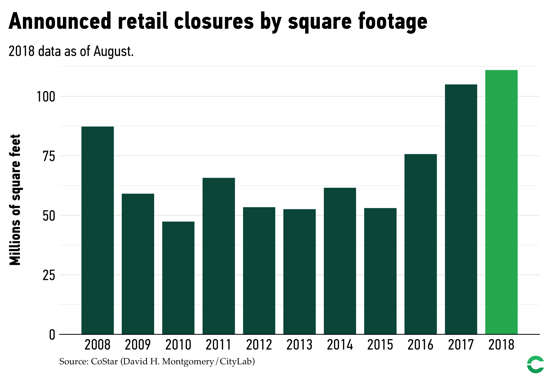 Even as of August, the U.S. had hit a 10-year high in retail square footage closed down—even higher than during the peak of the Great Recession. This has been driven by closures of some of America’s most prominent retailers, which had been anchor tenants in major shopping centers. 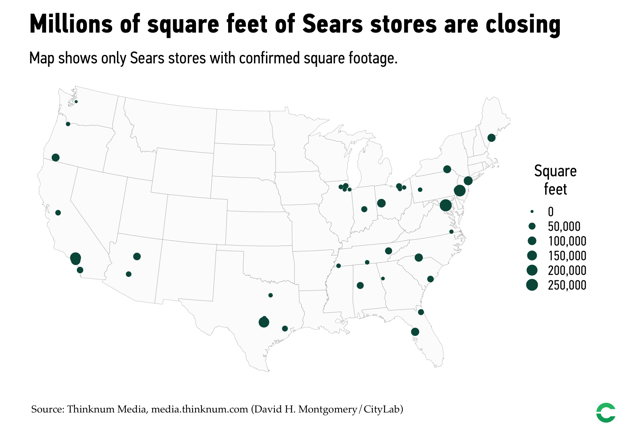 Sears, for example, is closing millions of square feet of its giant retail stores around the country as part of a bankruptcy. 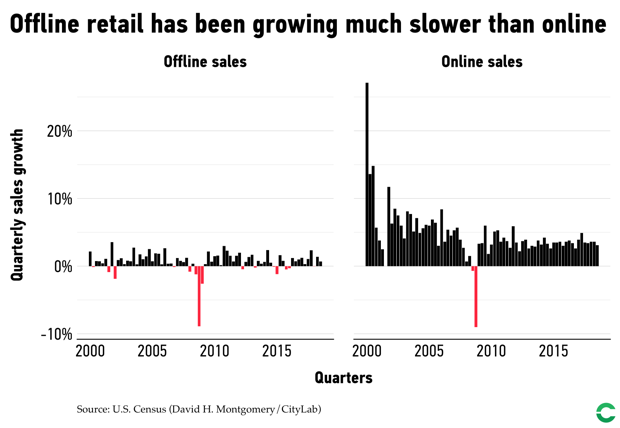 But offline retail isn’t actually on a downward trend. 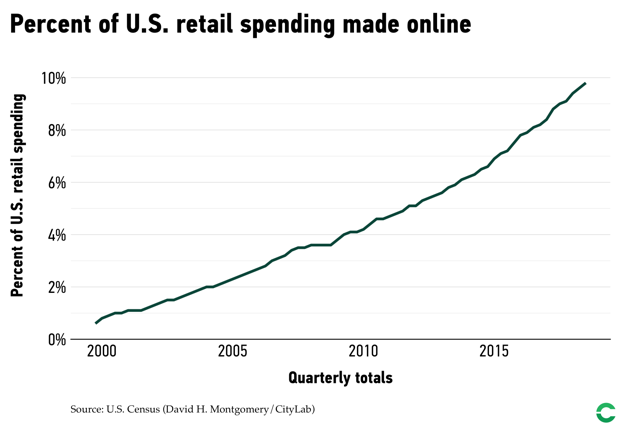 It’s still growing—just more slowly than online retail. 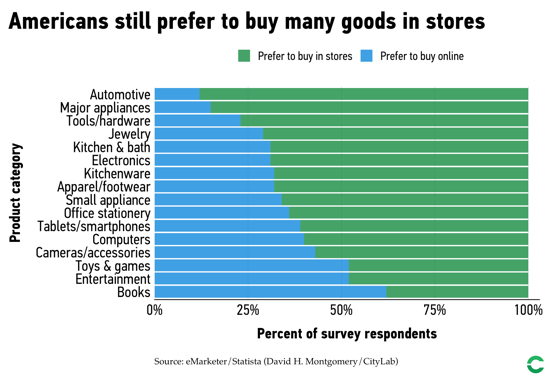 A recent survey shows Americans like to buy things like books and games online—but still prefer to go in person for many other items, including cars, appliances, and jewelry. This shows up in sales data. Department stores have had a rough go of it, while “general merchandise” stores like Target have been doing well. Electronics, sporting goods, books, and music have all seen total sales stagnate since the Great Recession. 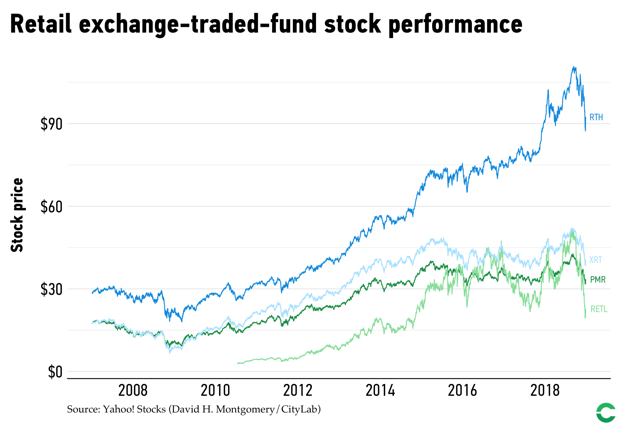 Stock market funds tracking big retailers have had mixed results in recent years. Many have been flat for several years, but at least one has boomed until the recent stock market decline. It’s been a rough time for many prominent American retail chains—and the sector’s future prospects don’t look rosy. But “apocalypse” might be an overstatement. 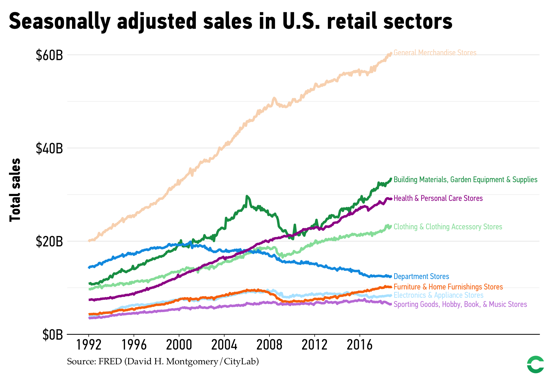 Some parts of the brick-and-mortar retail world are doing just fine, and despite pressure from online retail and some high-profile collapses—many driven by debt from leveraged buyouts—the brick-and-mortar retail sector is overall more limping than falling.